Our rapid growth on the Zambian route is surpassed only by the growth in the Zambian economy. In order to better serve our Zambian based customers, the time has come to establish a physical presence in Zambia. Our dedicated staff have several years' experience in their respective fields, ensuring that we always deliver the service now synonymous with the J&J name. J&J Transport Zambia Limited will be responsible for the below routes. This includes quotations and participation in tenders. 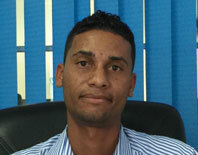 Oscar has been working in the shipping and logistics industry for over 14 years. 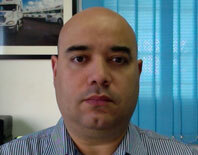 He comes highly qualified and brings a wealth of experience from the Latin America region. Simon has 9 years experience in Transport and Logistics within Zambia. His operational skills, hands on approach and knowledge of the Zambian industry will bring added value to our organization.